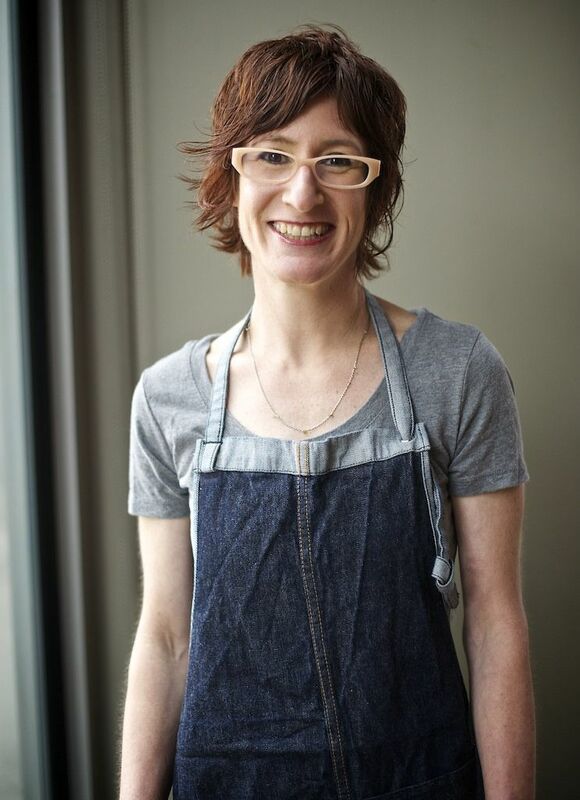 Today: Jenn Louis, the executive chef and co-owner of Lincoln and Sunshine Tavern in Portland, Oregon, shares with us the inspiration and process behind writing her upcoming cookbook, Pasta by Hand. A self-described "Jewish girl from Portland, Oregon," Jenn Louis fell in love with fresh potato gnocchi 20 years ago while backpacking through Europe. 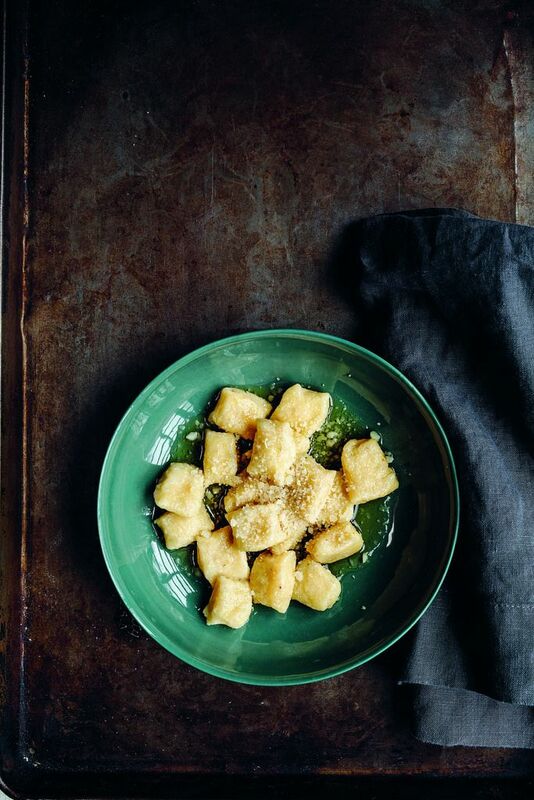 Years later, while opening her restaurant Lincoln in 2008, that bite of basil pesto-covered gnocchi inspired her to research methods for preparing authentic, fresh Italian pasta to serve. More: Try you hand at making pasta from scratch. It's clear from the amount of research that went into Pasta by Hand that you're incredibly passionate about discovering and maintaining the authenticity of traditional Italian recipes. What sparked your interest to begin this project? When I opened Lincoln, I wanted to make everything we served by hand (with the exception of our bread and longer-aged charcuterie, like prosciutto). Initially, I sheeted pasta for long noodles and bought an extruder for short noodles. Then, I started to make gnocchi, which lead me to other pastas that did not seem to fit into any specific category; they were like gnocchi, but not quite the same. Once I started learning about all the different regional shapes, I was hooked. I love Mediterranean food and culture; my mother-in-law is from Greece, and I have always loved Italy -- Italian food has always interested me the most. I didn't have a ton of restaurant experience before I started my catering business, so lots of what I did was self-taught. I read classic books, watched the masters in videos and on shows, and really started to hone my Italian cooking techniques. The Italian ideology of great, quality ingredients translates into something so much more than just a national cuisine. 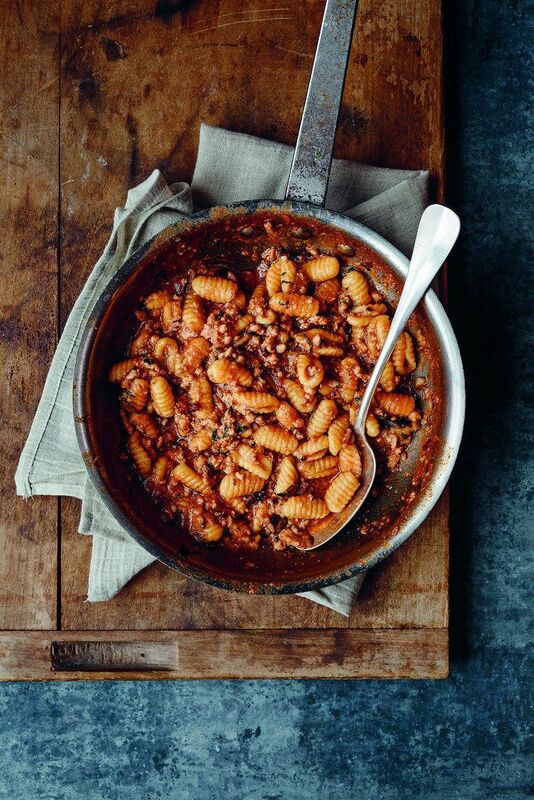 I have been asked by many Italians why I cook like an Italian and I always answer that it is because the method and ideology speaks to me so much more than any of the classic French cookery I learned in culinary school, as useful as it was. Another reason I love cooking with the Italian ideology is that it can cross into other cultures; you can add new ingredients, but the method and ethos behind each dish will stay rooted in Italian philosophy. Is this method, of trying a dish then deeply researching and perfecting it, one you use often in your cooking? I love to cook, I love to learn, and my favorite way to learn anything is through cooking. I always have several projects going, with lists of the next projects' ingredients, etc. I'm always thinking ahead to what I want to discover next in the kitchen. It inspires me to read a lot and to cook at home rather than always at my restaurants. 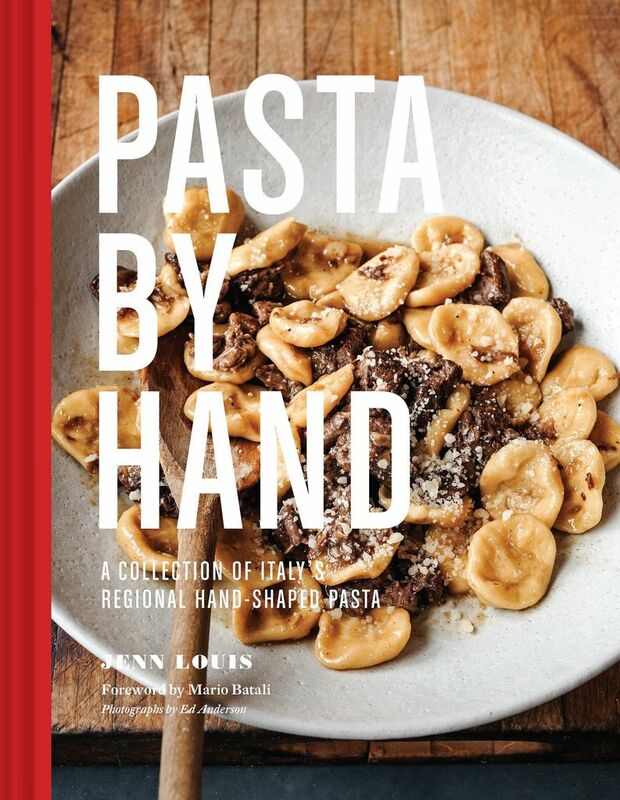 To research this book, you went on a two week-long road trip with your husband, David, through Italy to speak with different chefs and mentors about old-world pasta making techniques. You must have met some incredibly interesting characters -- is there one experience that sticks out to you? This [trip] was the last leg of my research and fact checking. It was amazing. Every day I had a lesson with someone different (in their home, in a castle, in a winery, or in a restaurant), making whatever they prized most. I met three sisters who have a small restaurant together in Modena. I ate lunch at their restaurant, fell in love with their gnocchi, and asked if they could teach me how to make it the same way. They taught me the next day at 10am with enthusiasm, after sharing espresso with me and showing me around their kitchen. There, I learned how to make potato gnocchi with Parmigiano-Reggiano in the dough. This is unique to Emilia-romana, home of Parmigiano-Reggiano. In Trento, I had a lesson with a wonderful family, the Messinas. We spent a whole day with the daughter, Sara, an expert on Italian dumplings, and her parents, from whom she learned many of her traditional methods. They were so welcoming and went above and beyond to make sure I left with a thorough understanding of their dumplings, teaching me to make spinach spatzli, strozzapreti, and canderli. We ate the dumplings we made and drank wine together after our day in the kitchen, and we still keep in touch over email. Did you notice a large cultural difference between eating in Italy and where you grew up, in Southern California? I grew up in Southern California, but have lived in Portland, Oregon since 1997. I grew up in the 70’s: lots of chicken, steak, vegetables, and a big garden in the yard. My mom cooked a lot, we ate really well, and always ate as a family. Not so different! 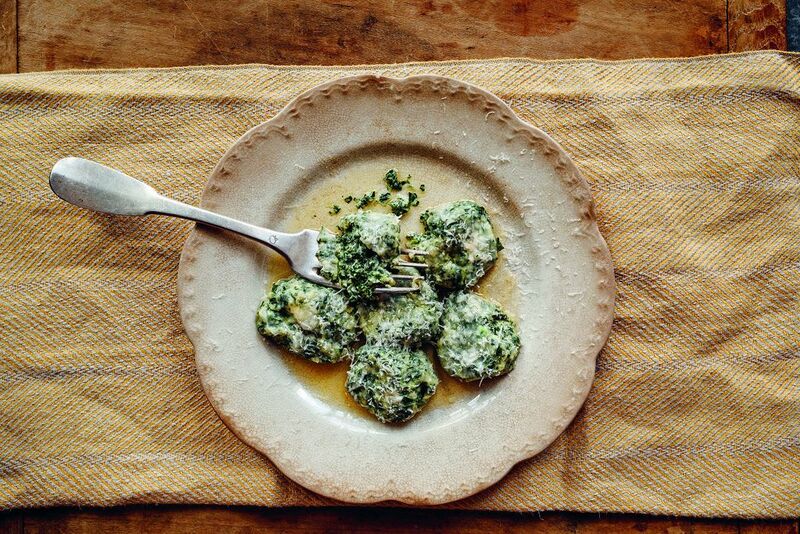 Pasta by Hand focuses primarily on Italian dumplings -- why did you choose to dedicate your cookbook to dumplings, rather than to other variations of Italian pasta? I realized there was a missing category of pasta: So many of the authentic and regional shapes I fell in love with couldn't be defined as part of a group, but they all shared a common thread. There is no real word for "dumpling" in Italian; they say gnocchi, but this is a misnomer because while all gnocchi are dumplings, not all dumplings are gnocchi. In my research, I called them "comforting little bits of dough, varying in size, shape, and texture." Many of the shapes I love most are so simple, yet obscure and rarely seen; since Italy, as a unified country, is 100 years younger than the United States, the food has stayed so regional. I collected 25 different dumplings when I first started to write my book, and over time that number grew to the collection that you see in Pasta By Hand. What is your favorite meal to cook -- Italian or otherwise? Tacos! I love to braise meat, and I think the best way to eat braised meat is in tacos. But, I'll also fill my tacos with whatever I have in the fridge that seems appropriate. Sometimes I'll make soft scrambled eggs, and finish them with salsa and cheese for a fast late-night taco after work. Or, on the weekends I love to make carnitas or braise beef with chipotle chiles, which make the whole house smell amazing. I'm testing a slightly more complex new taco at home now to make at an upcoming event: sikil pak (pumpkin seed salsa) and a root vegetable salad with escaviche. This was an awesome experience; seeing first-hand what soul goes into making this rustic food. I am so fond of the experience, and retain the joy of tasting each new dumpling I learned. I love the people I met through this project and am so grateful and thankful for all they have shared. Wow - Trento is a great city, glad Ms. Louis was able to absorb the rich culinary traditions of Trentino there. Even though they were a part of the Austrian Empire for most of the last 300 years, their versions of the canonical south German dishes definitely take on an entirely Italian sensibility to them, especially in the preparation of canederli/lotti. It seems every Italian family has at least one handmade pasta recipe of which they are very very proud. My friend Nicola hails from Valtellina in Lombardia, and he said that his mother taught him how to make the beloved buckwheat pasta called pizzocheri, even though he is a guy and wasn't really ever expected to make it back in the day (very traditional people up there). It is almost like the Lombard version of the Japanese soba noodles in preparation, except pizzocheri are supposed to be just irregular enough to be charming. Pizzocheri is usually served almost like a casserole, topped with shavings of a cheese called Bitto (or the very similar Valtellina Casera cheese), potatoes, spinach, and practically anything else you want as long as it's not too much. the real question: what are those gorgeous bright purple dumplings? 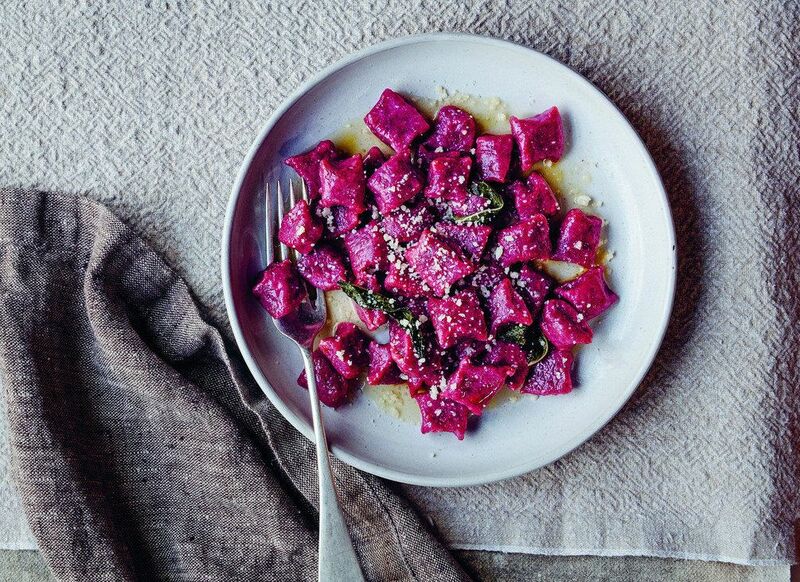 Those are Jenn's beet and ricotta gnocchi!